When considering settlement offers during your personal injury claim, it is important to focus not on the total settlement amount, but instead on the amount that you will take home after paying your medical bills and other expenses. If you will need ongoing medical treatment, if you will be unable to work, or if you will continue to experience pain for the rest of your life, it is critical that you avoid settling too soon and having your settlement fall short of meeting your financial needs. Do you need to consider taxes as well? Yes and no. Compensation for medical expenses IS NOT taxable. Any money that you receive to cover your accident-related medical expenses is not subject to federal income taxation. This includes doctor bills, hospital bills, therapy and rehabilitation bills, prescription costs, and any other expenses you incur for diagnosis and treatment of your injuries. Note, however, that you may need to claim some of this compensation on your tax return if you previously included accident-related medical expense deductions on prior years’ returns. Compensation for emotional distress or mental anguish IS NOT taxable. The IRS does not tax accident victims on compensation they receive for emotional distress and mental anguish resulting from their injuries. However, if your distress or anguish is not accident-related, then any compensation will be treated as taxable income (subject to deductions for related medical expenses). Compensation for property damage IS NOT taxable. 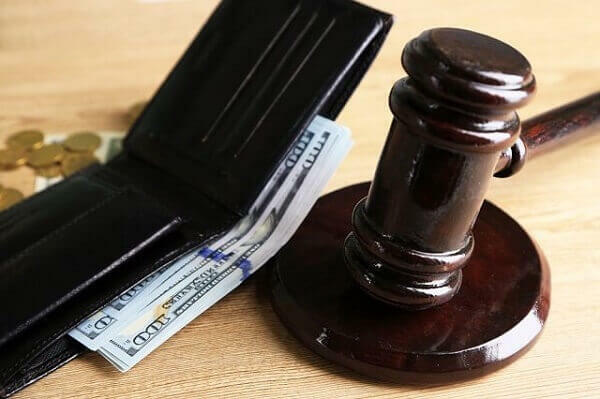 If you receive compensation for damage to your car or personal items, this compensation will not be subject to federal income taxation as long as it does not exceed the original purchase price (less any applicable deductions). Compensation for lost income IS taxable. If you receive compensation for lost income, this compensation will be subject to federal income tax. Since this compensation is a substitute for your wages or salary, the IRS treats it similarly. This applies to compensation for both past and future lost income. Interest on your settlement IS taxable. Finally, any interest earned on your settlement will be subject to taxation and must be reported as “Interest Income” on your tax return. Depending on the circumstances involved in your case, it may be possible to structure your settlement to minimize your income tax obligations. This is something that you will want to discuss with your attorney, and of course you should speak with your tax advisor before making any decisions about whether to report your settlement proceeds to the IRS. Schedule a Free Personal Injury Consultation at Crooks, Low & Connell, S.C. The personal injury attorneys at Crooks, Low & Connell, S.C. provide experienced legal representation for accident victims in Wausau, WI. If you were injured in an accident and believe someone else may be to blame, call (715) 842-2291 or contact us online to schedule a free consultation today.